Yamaha Powder Paper Special powder stays behind to make pads less sticky. 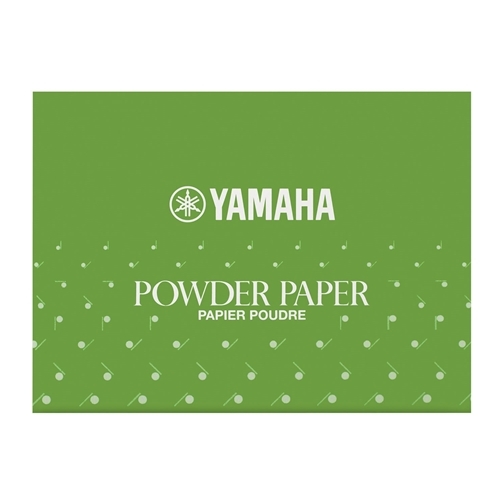 Yamaha powdered pad paper is treated with a specially designed powder that helps prevent pads from getting sticky during regular use. First, make sure your pads are completely dry by using regular cleaning paper. Then slide one sheet of powdered paper between the pad and the tone hole and gently close the key a few times. Repeat this process two or three times for each key using a different part of the paper - this will make sure that enough powder is left behind to do the job. Pack of 50 sheets.